NY winery releases 9/11 memorial wines. Exploitive? A Long Island winery has released two wines to commemorate the 10th anniversary of the September 11 terrorist attacks. Produced by Lieb Family Cellars, the limited edition Memorial Commemorative Merlot 2010 is barrel-fermented, while the Memorial Commemorative Chardonnay 2010 is stainless steel-fermented. 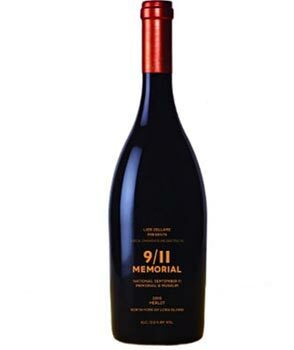 The wines, which retail for US$19.11 each, have the stamp of approval from the 9/11 Memorial Foundation, which worked closely with the winery to develop the label. Both were made from grapes grown 90 miles from the site of the World Trade Center. 10% of the proceeds from the sale of the wines will go to the National September 11 Memorial and Museum.